Celtic Music Calgary - Where do You see it in Town? Search for more about Calgary and music. Check the variety of celtic music Calgary has to offer. You might be amazed. In fact for Irish and Scottish music lovers you are more than likely to find something to suit your taste. ...Here every week there is live Irish music and dancing, but I’d recommend checking with the pub before you go so that you know what to expect for entertainment. For those of you who find straight original celtic music a little bit much at times, why not see if you can get a ticket to see Fair Haven. This band specializes in a blend of Irish music rock and Celtic forms. Whilst not everyone’s taste if you like the Irish scene then there is a good chance you will like them. Their music is original and has a unique blend of styles. Periodically, they play at different venues within Alberta so hopefully they will be playing near you sometime. If you are interested in seeing them, check out fairhavenmusic.com for full details of where they are playing and when. If you'd rather see some good old rock'n roll, have a look at Back in the Day. If you are more interested in the Scottish scene than Irish, then Alberta won’t disappoint you either. This year the Calgary Highland Games are being held on Saturday September 2nd at Shouldice Park. Amongst other events there are competitions for Highland Dancing, Piping as well as drumming. It’s an ideal chance to witness the many different styles as well as varied interpretations of the celtic music Calgary has to offer. As the schedule and even the event map at the Highland Games can change on a moment's notice, it seems, look for the latest information. Find it at calgaryhiglandgames.org. 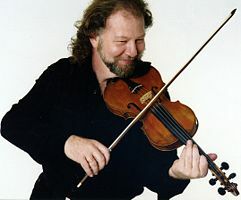 Not long ago Fynnon played in Alberta to satisfy the Welsh Celtic music lovers. Their music is a mixture of diverse instrumental compositions combined with traditional Welsh music. Unfortunately I haven’t heard of any new dates planned for them lately, but many people have their fingers crossed in anticipation of their return. All in all the variety of Celtic music is one of the more diverse ones I am aware of. I consider myself lucky to live in this area to have the choice to hear all this wonderful music. Try some other types of world music? Here's something a bit strange. There once was a band called the Calysto Steelband - see if you like the Caribbean feel. Go back from Celtic Music Calgary to the Internet Site Map web page.